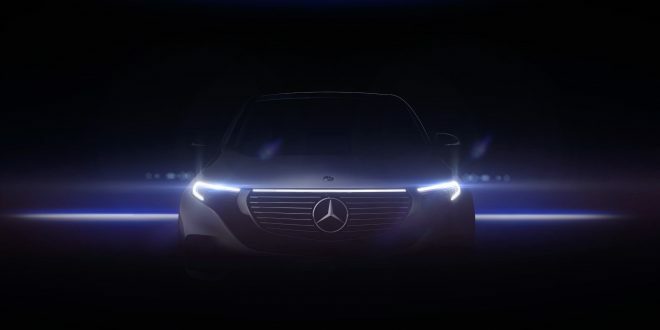 Mercedes-Benz is continuing its slow tease of its upcoming pure electric crossover, the EQ C. This time we’re offered up a fairly clear look at several parts of the first official EQ model. Perhaps the most interesting view yet is a new teaser shot showcasing the front clip of the EQ C. Atypical of most automotive teaser shots, this one actually gives us a very clear view of the EQ C’s design, which has a close parity to that of the Generation EQ Concept that originally previewed the EQ C.
While the front end design is not far off from other recent Mercedes products, such as the A Class, the rear offers a bit of a twist. 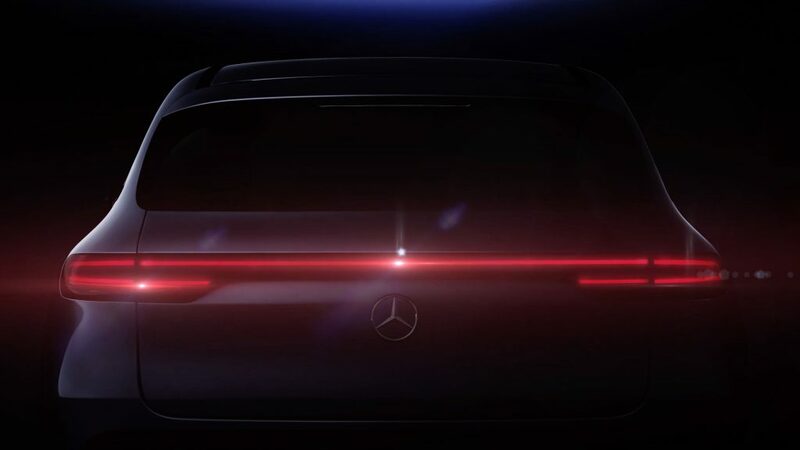 The latest teaser confirms Mercedes will deploy a wrap-around LED taillight treatment, similar to that found on Lincoln and Audi products. 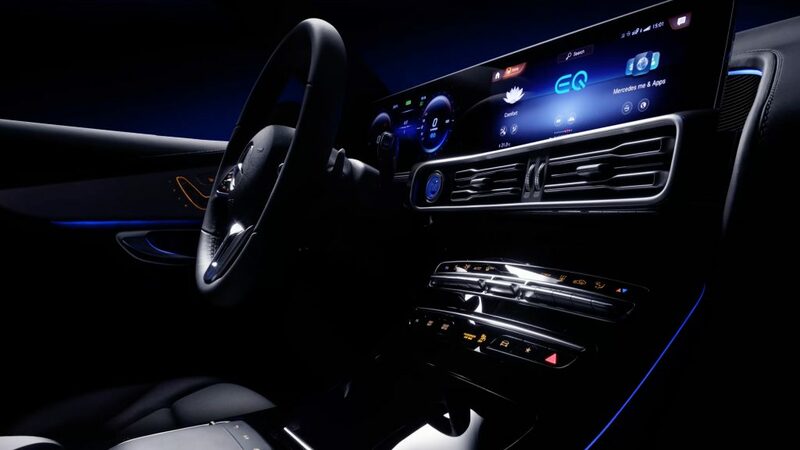 Inside, the EQ C is packing several Mercedes corporate pieces, including the brand’s now iconic massive two-screen display setup and piano black center stack. Unsurprisingly, the door panels look like they are pulled directly from the similarly-sized GLC Class. Expect to see the rest of the EQ C next week, when Mercedes-Benz is expected to reveal it.